The first of two documentaries on this list, Blackfish is an infuriating story of immoral people creating a monster and the innocent people that have to deal with the ramifications. Featuring some of the most tension-filled moments in any movie of 2013, Blackfish is the story of Tilikum, a killer whale and how he realized the full threat of that name. Obviously, Blackfish has an agenda, and it’s that containment of these animals, or at least how they are currently being contained, is both unethical and dangerous to the humans that have to deal with these animals on an everyday basis and to the animals themselves. 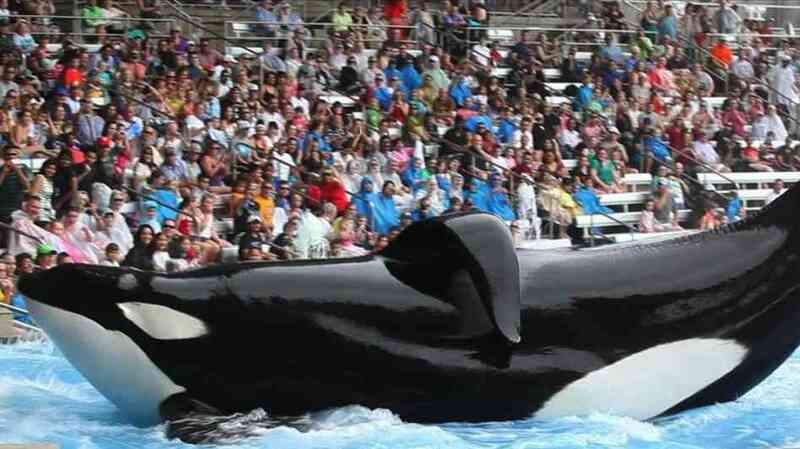 It’s a fascinating look into a world you may not see on a regular basis and the live footage that they do have of Tilikum’s outbursts are horrifying and sad. Upstream Color is less a movie and more a feature-length montage of gorgeousness. The plot is a little thick to express in mere plot points, but it’s effective emotionally and leaves the viewer satisfied. Centered on a fantastic performance by Amy Seimetz, Upstream Color poses the question of what happens when you cannot trust your own memories or mind. It has a dreamlike quality to it, and some fascinating visuals that can leave you awestruck, even if you never fully understand exactly what is going on. I can’t say that I watch the news all that often. Even when I do, it’s probably The Daily Show; that being said, I was vaguely aware about the revolution going on in Egypt, but I didn’t exactly know all the details. For the essentially uninformed, The Square is an informative and immersing look at the frontlines of a political movement in action. 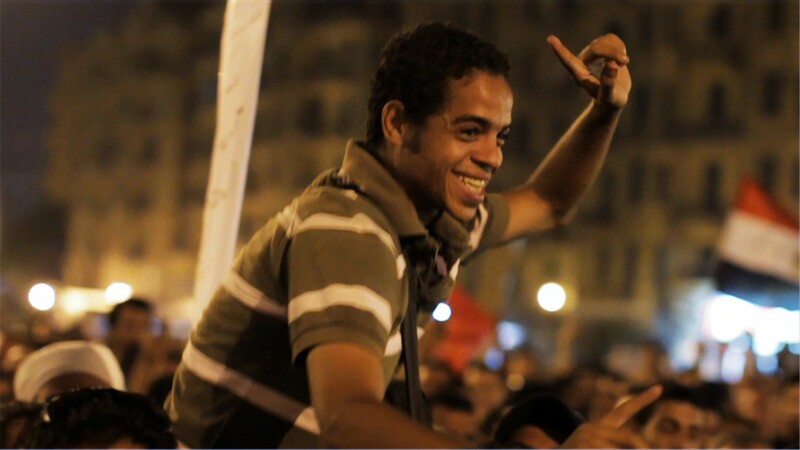 The Square in the title refers to Tahrir Square, a place that became a symbol for the people’s political voice in the face of an unjust regime. The protests make Occupy Wall Street and the Tea Party Movement look quaint in comparison, as the young revolutionaries are fighting for freedoms that we take for granted. For the most part, the protests work, as Murbarak falls out of power. But as their actions seem to create dividends, their requests still go unanswered. After each regime falls, it becomes increasingly clear that removing one problem from power just creates room for another problem to move in. Things continue to get dicey when the protestors are split when the Muslim Brotherhood takes power, creating problems for the non-Muslims they helped take past regimes out of power. It’s a story of civil unrest and how that can affect the relationships people have with their friends and their family and how, sometimes, it’s hard to figure out which side you’re fighting on. There’s always that one indie film that comes out each year and surprises everyone. Last year, it was Perks of Being a Wallflower. This year, The Way, Way Back was that film, to me. A lot of my enjoyment of the film is due to Sam Rockwell, an actor I’ve been following since I first saw Confessions of a Dangerous Mind. Rockwell gives a charismatic performance akin to Bill Murray in Stripes or Meatballs. He’s the sort of cool slacker that makes life look easy, despite being resigned to utter mediocrity. He exudes cool and with each role, I question why he isn’t a bigger star. Throw in Allison Janney, who makes everything better and a fun script by Jim Rash and Nathan Faxon, and The Way, Way Back was a surprise summer indie film. 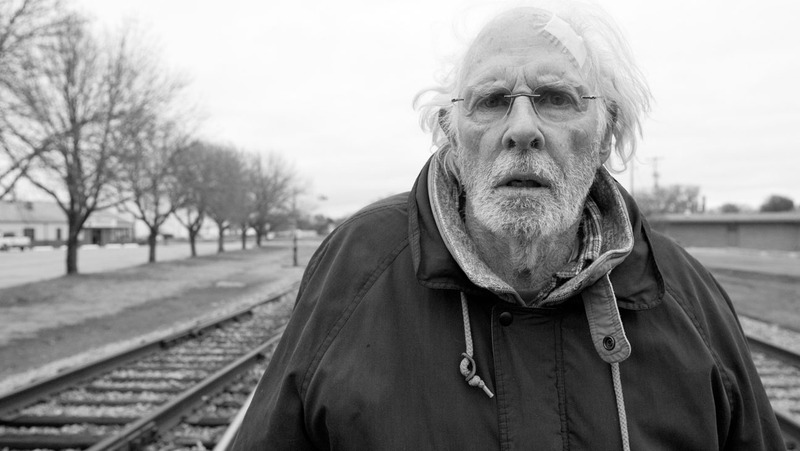 In a year of film that seemed to celebrate decadence and boisterousness, Nebraska is arguably the quietest film of the year. It’s also one of the smartest, funniest, and most emotional films of the year and a true pleasure to watch. I’m a big fan of road movies, so a story about a father and son traveling to Nebraska to claim a million dollar prize that assuredly does not exist hit all the right notes for me. Like most road movies, the traveling is simply a backdrop of a more philosophical journey the characters need to make. For Woody Grant (Bruce Dern), his travels back to his old hometown of Hawthorne is almost a step back in time, as he faces the people that he’s left behind for years. It’s interesting to see him confront demons that he can’t quite remember and his redemption at the end is one of the most satisfying moments of the year. In an article in which I griped about how terrible Grown Ups 2 looked (AKA: stealing low-hanging fruit), I mentioned that This is the End is basically the same premise, but done with such a flair that it completely put the hackiness of the previously-mentioned Adam Sandler movie to shame. This is the End is simply funny because of the chemistry among each member of the group. Their character dynamics seem natural and set against the backdrop of the apocalypse, it gives the film an excuse to be nothing more than one in which they riff off of each other. Danny McBride gives a hilarious performance as the antagonist of the group and the film is chock full of amazing cameos. This film is enjoyably simple, and one of the best comedies of the year, despite a lackluster third act. American Hustle is the quintessential ensemble movie and with such a great cast, each at the top of their game, David O. Russell’s latest film is a perfect showcase for each talented actor on board. I wrote about Amy Adams’ performance already, but you could spend plenty of digital ink on any of the others: Christian Bale, Bradley Cooper, Jeremy Renner, and Jennifer Lawrence each knock their roles out of the park. The film is a stylish caper film with a quick-wit and a great soundtrack. The summer of 2013 promised a lot of action: Iron Man 3, Man of Steel, Pacific Rim, and others. All the super heroes and all the giant robots that this year had to offer and the best action movie of the year was the story of a teenage girl. I enjoyed the original film in The Hunger Games series; it was a passable movie that I had some reservations about (CGI, lack of political undertones), but it was an okay film, especially given the genre. 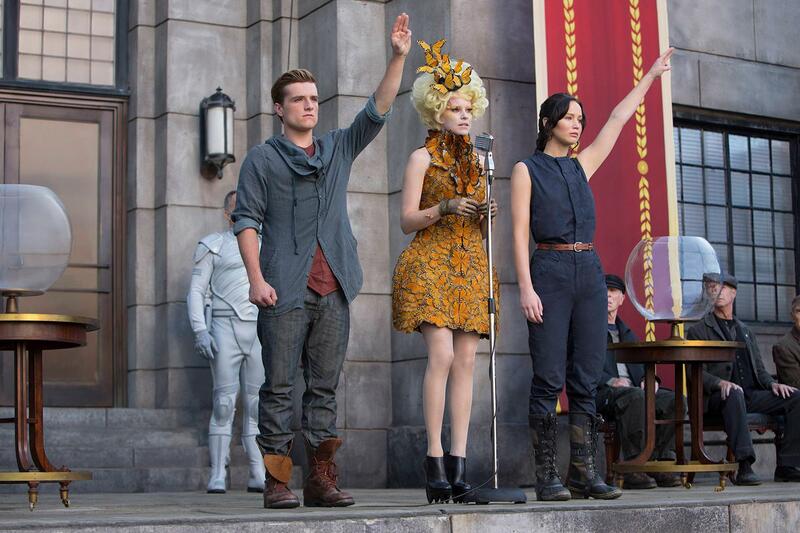 Catching Fire, on the other hand, was about as great as it could have been. You can really tell that they took the money they had made off of the first one and put it back into their product. Not to give too much of the plot away, but the ending is a great cliffhanger that almost feels like it could be considered this generations The Empire Strikes Back. It ends on a note that is so down and so well done that it makes the next chapter one of my most anticipated films of 2014. The final film of the Cornetto Trilogy, The World’s End seems to be a fitting conclusion to the pseudo film series and even if it isn’t as perfect a film as Shaun of the Dead is, it is easily the best-made film of the three. 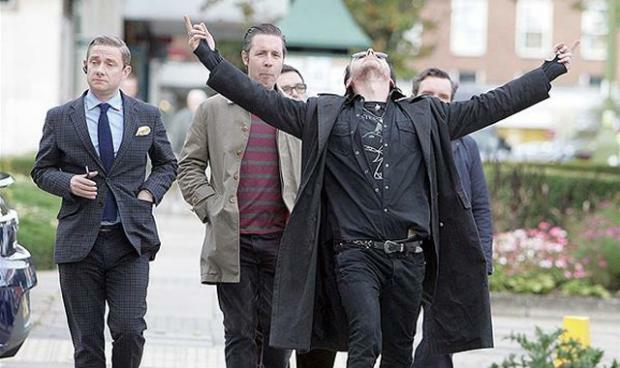 After about 15 years of collaboration for Pegg, Wright, and Frost, The World’s End is a fitting meditation on the friends that you make in high school and how the sometimes need to stay in the past. Simon Pegg and Nick Frost are fantastic and make up just a part of the genius cast that includes Martin Freeman and Rosamund Pike. It’s fun, clever, and features some of the best action sequences of the year. The Wolf of Wall Street starts at about 100 mph and never lets up. That’s probably the only way that this story can be told. 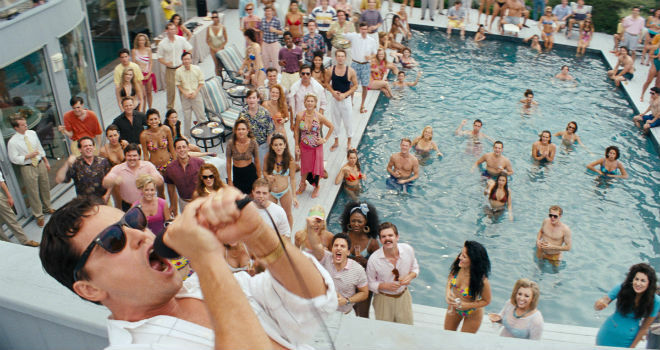 Jordan Belfort’s story of his depraved rise to the top (and the inevitable fall) is kinetic and absolutely insane. Had I seen this movie before this past weekend, it would have completely transformed the lists that I posted last week. DiCaprio is fantastic in the film and there are plenty of scenes that could have been mentioned in the most memorable scenes of the year. You don’t have to like Belfort to like this movie. I found myself enjoying the ridiculousness of his life, but at the same time, I equally had pleasure in watching it all come crashing down around him. Many people have said that Scorsese doesn’t take the opportunity to condemn how big of a shitbag Jordan Belfort is, but he shouldn’t have to. He’s no more glorifying Belfort than he did Henry Hill in Goodfellas. Anyone that looks at this movie and envies the life Belfort has led probably calls Tucker Max his or her favorite author. And they should be removed from society.